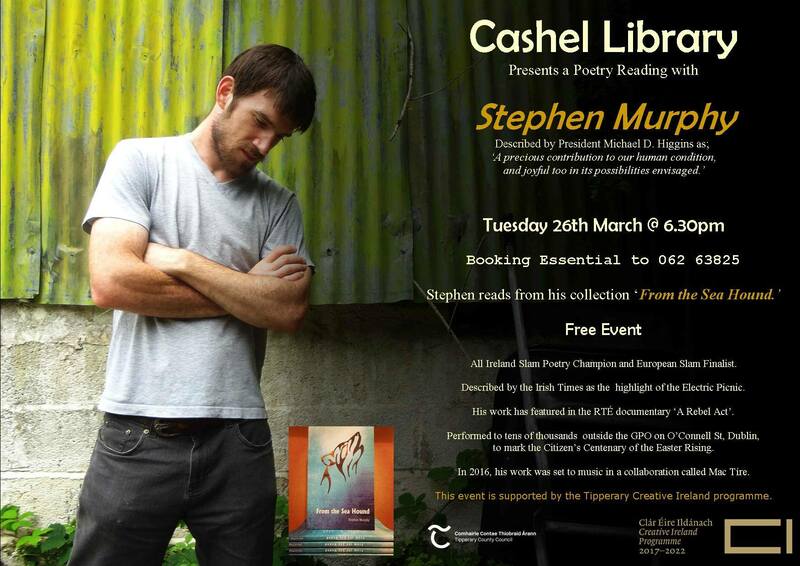 Poet Stephen Murphy will perform in Cashel library, Tuesday, March 26th at 6:30pm. President Michael D Higgins described Stephen as ‘a splendid, wonderful, courageous poet’. An evening not to be missed! This is a free event, but booking is essential. Call 062 63825 to book your place! This event is funded by the Tipperary Creative Ireland programme.